Even with the SEO friendly qualities and the sortable galleries the most commonly found templates do not seem enough to attract the prime internet traffic. It is always better to jazz things up a little bit to get attention in the extremely competitive market.Complete with jQuery sliders, these themes are the complete deal for any website designer.You may also check Free Website Themes. The free coffee shop jigo shop HTML 5 template is a beautifully designed jigo shop theme template that uses a classy look to create the best coffee shop website. The free online jewelry store jigo shop theme is an attractive and excellent looking jigo shop theme template that uses superior visual effects to display the different jewelry available in store. 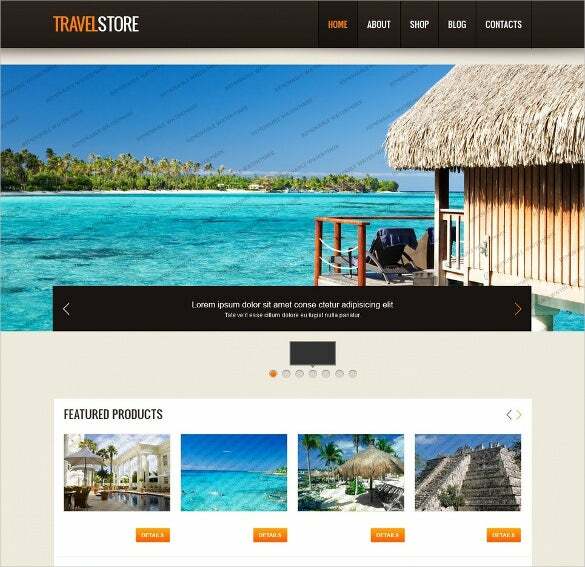 The free travel store jigo shop HTML 5 template is a beautifully created HTML 5 theme template that is apt for all the travel and tourism companies who are looking for the best template. They are minimal and yet colorful which appeals to the taste of all the drivers. They are absolutely lightweight as well which makes sure that it does not slow down the loading and navigation process for your visitors.These themes come with their own font or a direct access to the Google font store and different layout options to suit your specific requirements. There are themes for all kinds of blogs and websites which may include fashion blogs, automobile blogs, travel blogs, fashion and clothing stores, fitness blogs and cooking blogs.These themes are tailor made to perfectly serve the purpose of the builder and woo the visitors. They have infinite color options which are both primary and secondary and multiple pre-set backgrounds which can be altered easily. The multi- background aspects make it possible to apply different background pictures to different pages of your website.You can also find the conveniently placed cart options, drop- down menus, subscription options, news feeds and much more embedded within the theme. Information can be fed into separate pre-set sections as arranged by the theme.